How great is this? I have school age kids I am surprised I didn’t see anything about this in all the Scholastic stuff they bring home! What a cool thing. I was here looking for some recommendations for some great books for the holidays. I have a couple recommendations as well, The Reindeer Keeper and The Snowman Maker by Barbara Ward, barbarabriggsward.com. They were recommended to me by a friend and they are fantastic I hate to wrap them up for the kids as I enjoy them. But I will. I’m in total agreement about the “Kids Are Authors” contest. It’s open to any group of kids 3 or more, ages K-8. 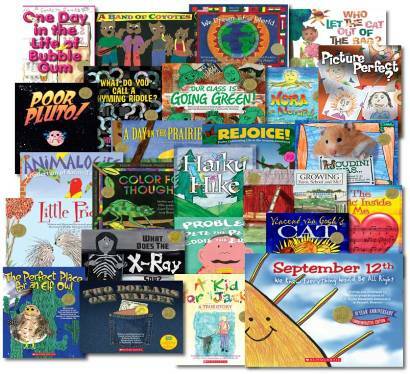 If you win the grand prize, your school gets $5,000 in Scholastic credit and a very cool assembly/book launch. As the parent coordinator for “Two Dollars, One Wallet” I can’t speak highly enough about the experience. My daughter and her 6 co-authors can physically hold the book they wrote; and it’s an experience they’ll never forget. Plus, it’s a great way to volunteer in your school, a fantastic way to teach writing and a valuable lesson in art-making. The kids learn teamwork, creative thinking, and fortitude. A wonderful process all around! P.S. 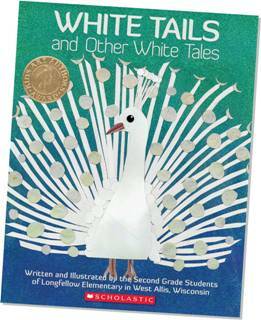 “White Tails and Other White Tales” is the 2013 winner, and available in book fairs now. This is so great to hear. We own “Two Dollars, One Wallet” and it’s a great, great book! Your daughter and her co-authors should be extremely proud for writing such an impressive book. My son is in pre-kindergarten and I’ve totally thought of crashing someone else’s school for their book fair. Is that legal? You might have to sign in at the office to go to it, but – if they put up signs outside of the school to advertise it – to me, that suggests they’re open to the public.